President Donald Trump resubmitted 51 judicial nominations that expired at the end of the last Congress Tuesday night, as Senate Republicans prepare to restart a years-long effort to fill the federal courts with conservative jurists. That work has slowed significantly in recent months, prompting conservative anxieties about the pace of judicial confirmations. Two GOP Senate aides told The Daily Caller News Foundation that Republican lawmakers drafted a letter urging the White House to quickly resubmit lapsed judicial nominations, particularly those candidates the Senate Judiciary Committee advanced to the floor for a final vote in the last Congress. Those nominees will not need to reappear for confirmation hearings, though they will need to be voted out of the Judiciary Committee for a second time. The letter never issued, however, since the president returned the nominations to Congress in short order. The signatories to the letter are eager for the Republican caucus to spend more time on judicial confirmations since little progress was made on judgeships in the waning days of 2018. Former GOP Sen. Jeff Flake of Arizona, who sat on the Judiciary Committee, refused to confirm judicial nominees from November 2018 until he left office in January, in a bid to force the chamber to adopt legislation protecting special counsel Robert Mueller’s investigation. During that period, there were 39 nominees pending before the committee and another 32 awaiting a confirmation vote. Though the Senate never enacted the legislation Flake championed, dozens of nominations expired because of his blockade. 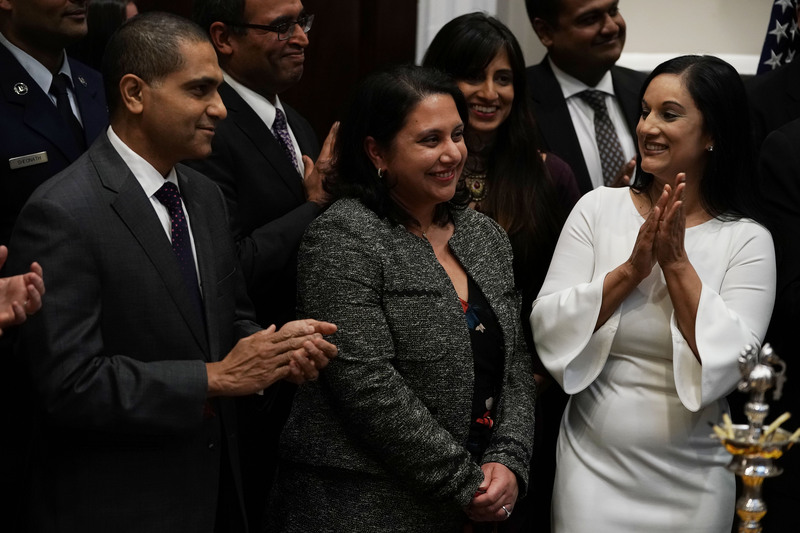 Among the nominees the president resubmitted Tuesday night are Neomi Rao, Trump’s pick to succeed Justice Brett Kavanaugh on the U.S. Court of Appeals for the D.C. Circuit, and Brian Buescher, a nominee to the federal trial court in Nebraska whose affiliation with the Knights of Columbus drew questions from Democratic lawmakers. There were 125 vacancies when Trump took office. There are now 146 vacancies, according to the Judicial Conference of the United States. That figure increases to 162 when counting pending retirements. The renomination effort is supplemented by a $1.5 million national and digital ad buy from the Judicial Crisis Network (JCN), a conservative advocacy group that organized and messages on judicial nominations. The Senate has confirmed 53 district judges, 30 appeals judges and two Supreme Court justices since Trump took office.